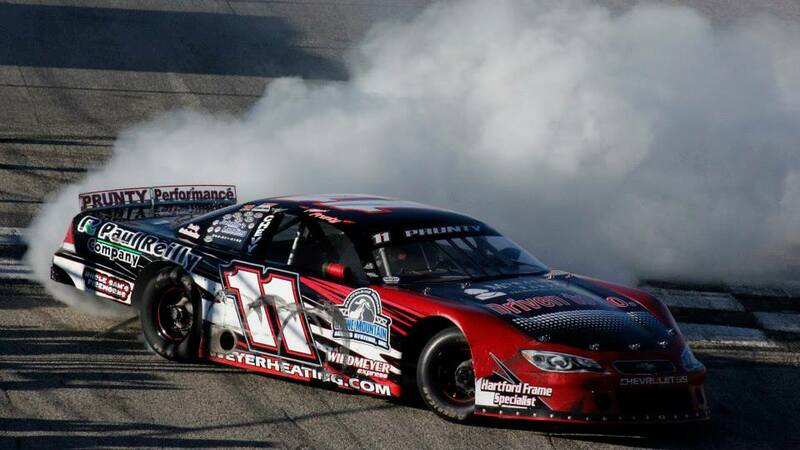 Alex Prunty Racing: 2015 Slinger Super Speedway Late Model Track Championship Bagged After 7th Feature Win of the Season! 2015 Slinger Super Speedway Late Model Track Championship Bagged After 7th Feature Win of the Season! 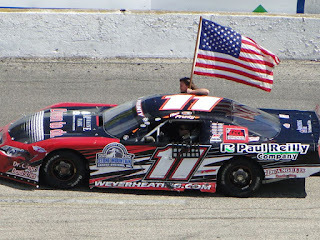 Slinger, Wis., Sept. 13- Alex Prunty stormed to the lead in the waning stages of the 40-lap late model feature Sunday afternoon at the Slinger Super Speedway and drove off to a convincing win to seal the deal on his second track championship. Jack Stern and Steven Schulz swapped the lead in the opening laps before Schulz was able to prevail from the outside on lap three. 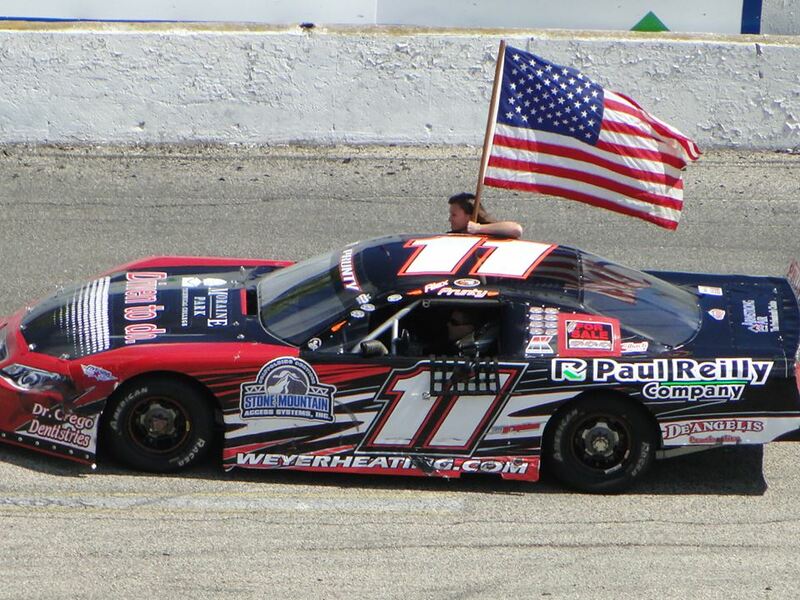 Behind the top two, Eddie May, Brian Holtz, and Mike Meyerhofer filled in the top five as Al Stippich, Alex Prunty, Mike Held, and Jordan DeVoy all worked their way forward from deep in the field. May was able to move into second which dropped Stern into a battle with Holtz just ahead of another struggle between Meyerhofer and Stippich which ended with Stippich spinning off turn two to draw the first caution flag on lap 14. Meyerhofer took responsibility for the contact and Stippich was awarded his spot back for the restart with Schulz leading over May, Holtz, and Stern. Schulz took the inside line at the lane cone and with Holtz moving to the outside, a cat and mouse game began between them which resulted in an aborted restart attempt. On the second try, more contact between the front row starters sent Holtz’s car near the retaining wall just past the start-finish line and as he swung out of turn two on the next lap, his car broke loose and clipped May’s machine sending it hard backwards into the turn three wall. The incident also severely damaged the car of championship contender Mike Held and he retired from the event. Schulz took the inside lane again as this time Stippich took to the high line and once again another aborted start bunched up the field damaging Joe Bongiorno’s car enough to send it to the pits. This time as racing resumed Schultz and Stippich raced side by side for the lead ahead of Stern and Prunty for a few laps before Schulz prevailed from the inside. A tap to Schulz’s rear corner a few laps later opened up the door for Stippich to edge inside and take the lead with Schulz staying directly in his tracks. Stippich continued to pace the race as Schulz bobbled slightly in turn three which allowed Prunty to sneak by and into second. Prunty tracked down Stippich and immediately took to the outside to drive into the lead on lap 29. Once out front, Prunty could not be caught and he drove away to the victory while Schulz prevailed in a spirited battle for second with Stippich. Jordan DeVoy finished fourth and Jack Stern rounded out the top five in fifth. 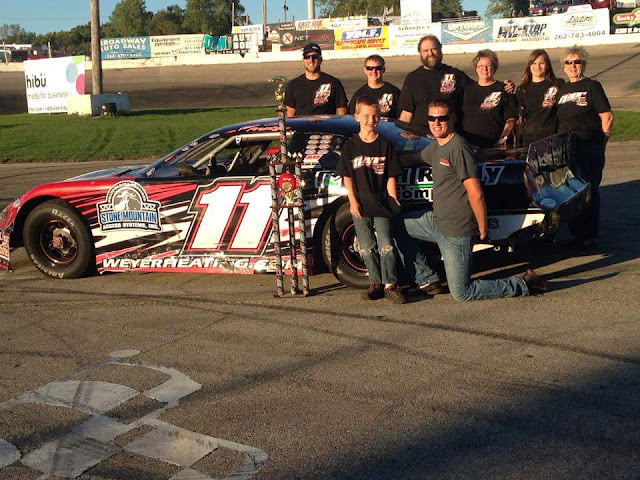 Prunty’s victory also enabled him to clinch the 2015 Slinger Speedway late model track championship!